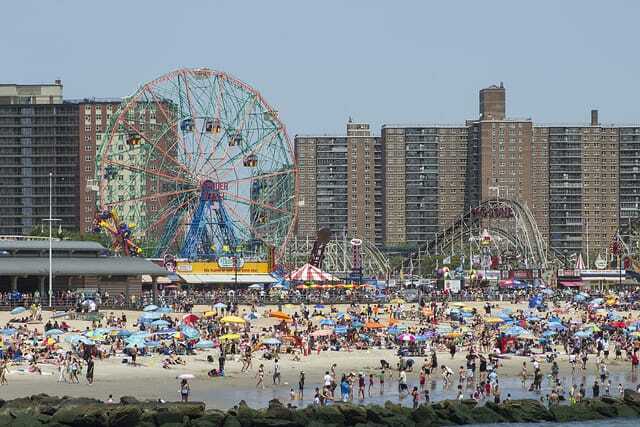 Coney Island got walloped during Hurricane Sandy, but they’re still making a comeback this summer (with jobs! And an Applebees! and a shooting gallery!). 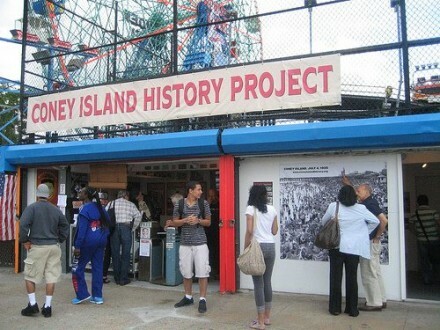 They’re still making Sandy a part of their canon, though: the Coney Island History Project, which got flooded in the storm, plans to reopen on March 24 and will feature artifacts and other pieces that sustained damage. The CIHP’s been trying to document and archive historical Coney Island archives and oral histories since 2004, and they’ve racked up a pretty hefty collection over the years. 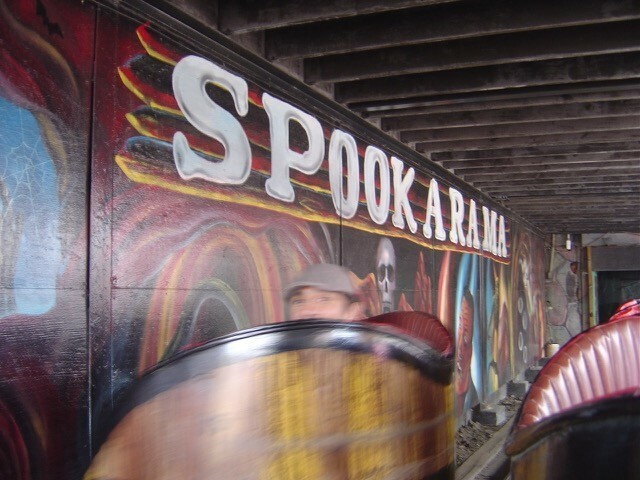 You can check out pieces of old attractions like a Cyclops head from Deno’s Spook-A-Rama dark ride and the frame from the bygone B&B Carousell, along with photographs and recordings of oral histories that date back to Coney Island’s early days. And the project had to deal with a pretty significant post-storm cleanup; director Charles Denson says their building got about four feet of floodwater, which damaged a number of photographs, along with some artifacts and much of their recording equipment. “We prepared for the storm, but nobody expected that much water,” he told Hyperallergic. “This time it was just disastrous.” They had to toss some destroyed paper artifacts and documents, and spent months drying out what they could save. The exhibition center is free to visit, and open weekends from Memorial Day to Labor Day, in addition to March 24th, April 1st, Easter Sunday and May 5th and 6th. Plus, it’s located right by the Wonder Wheel, so you can stop by after you snag your free ride.